A healthy home begins with cleaner air. Improve the air quality in your house by reducing the amount of airborne allergens with a Filtrate Micro Particle and Airborne Allergen Reduction Hammock Filter. Using electrostatic technology, this high-performance filter attracts and captures large and microscopic airborne allergens such as pet dander, mold and bacteria, smoke and dust. For maximum performance, replace your Filtrate Filter seasonally (every 90 days) to ensure you and your household are breathing cleaner air. Filtrete Smart Air Filters take all the guesswork out of knowing when it's the right time to make a change. Simply connect your filter to your mobile device via Bluetooth and bring your home's air filtration system into the 21st century with active filter life tracking, environmental air quality info, tips for improving your air quality, and easy mobile replacement filter ordering it's all in one convenient app. 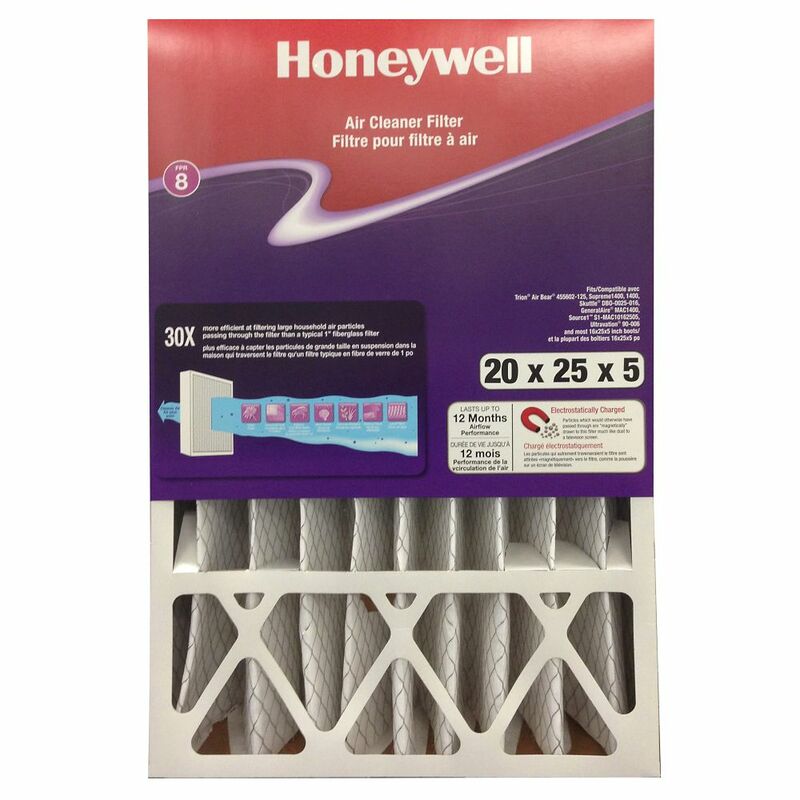 Air Cleaner Filter 20x25x4 Inch is rated 1.0 out of 5 by 1. Rated 1 out of 5 by Garager from Don't fit the hole Yes my Lennox takes 20x25x5. Been gething them once a year for 5 years but this is first year Home Depot sold this size. Bought it and took it home. Took out old one and could already eyeball a problem. The new one is half inch taller and a smidgen wider. Lennox wants it snug so this has to go back.